Four spaces in the Heritage Park parking lot have been reserved near the charging stations for electric vehicles and will be open for public use Sept. 15. Owners of electric and hybrid vehicles soon will have another place to charge their cars. Brookhaven Town has installed two charging stations at Heritage Park in Mount Sinai as part of a plan to encourage the use of alternative energy sources. The stations, each with two pumps, are to become available for use on Sept. 15. Town officials on Tuesday touted the advantages of electric and hybrid vehicles, saying both are less expensive to operate and better for the environment than cars and trucks that run on traditional fuel. 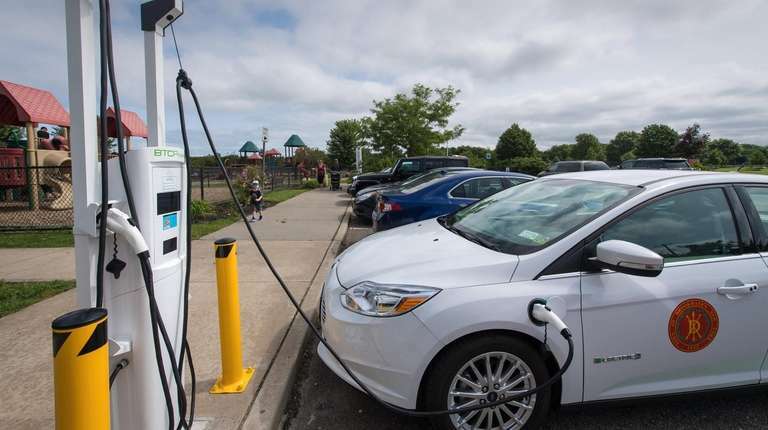 "We want to encourage the use of electric cars and hybrids," Town Supervisor Edward P. Romaine said during a news conference at the park, which is jointly owned by the town and Suffolk County. 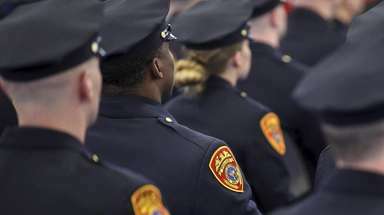 "They cost a little bit more up front, but over the long run they are more cost-efficient." Electric car owners who use the pumps will pay "no more than the cost of the electricity, which is minimal," Romaine said, adding, "If you have a two-car home, maybe one of them should be electric." Brookhaven has one electric vehicle in the town fleet and four or five hybrids, Romaine said, adding officials plan to add more hybrids and electrics as gas-fueled cars are retired. Reports indicate sales of electric and hybrid cars nationally have increased in recent years, and those vehicles are expected to make up a greater share of overall car sales in coming years. Electric carmaker Tesla plans to open a showroom in Nesconset. 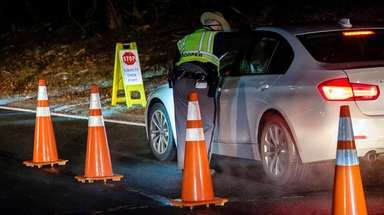 The Mount Sinai charging stations cost $22,000 each and were paid for with a grant from the state Energy Research and Development Authority, Romaine said. Four stalls in the Heritage Park parking lot have been reserved near the charging stations for electric vehicles. Those spots are marked by green lines and a logo of a car with a power cord around it. "I can't tell you how excited I am that the charging stations are in my district," Town Councilwoman Jane Bonner said at the news conference. Brookhaven also has public charging stations at a town facility in Centereach and a town park in Center Moriches. 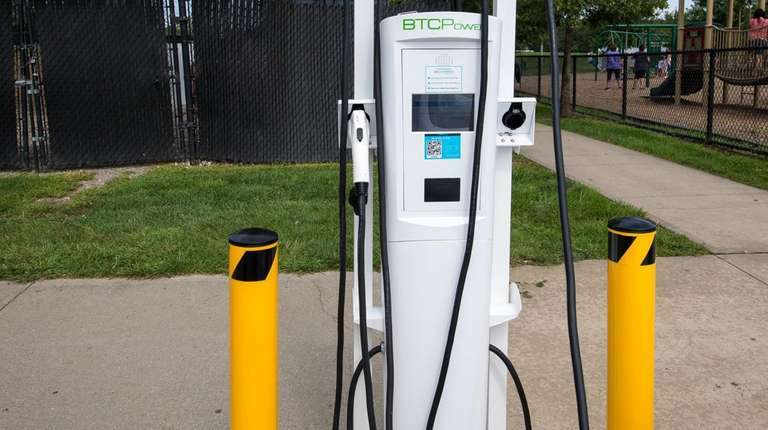 Officials plan to eventually have at least one charging station in each of the town's six council districts, Romaine said. "This is taking us in the right direction as we move toward more environmentally friendly energy in Brookhaven Town," Councilwoman Valerie M. Cartright said. Brookhaven officials also plan to install solar panels on Town Hall in Farmingville. Brookhaven already has solar farms at the town ecology center in Holtsville and a composting facility in Manorville.